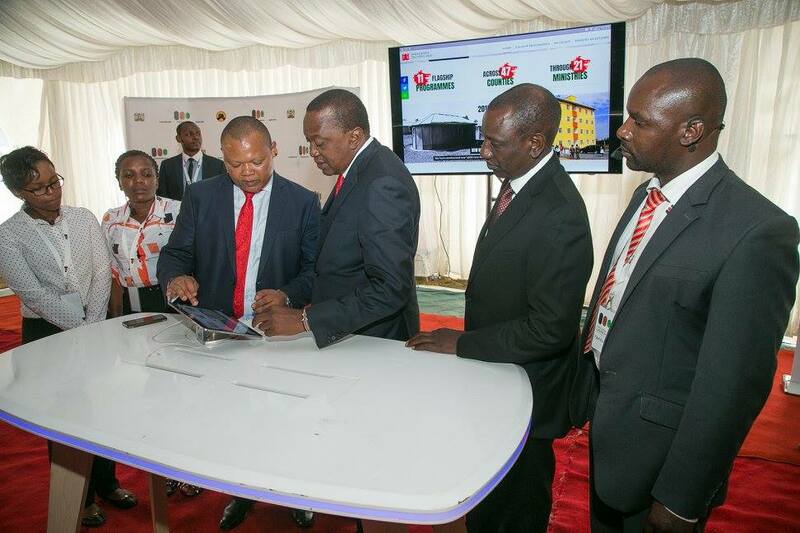 Public information portal launched by President Kenyatta today. - Bana Kenya News, Real African Network Tubanane. Home Nairobi Public information portal launched by President Kenyatta today. Public information portal launched by President Kenyatta today. President Uhuru Kenyatta today launched a public information portal that will enable people to understand the projects that the government has undertaken. If the people did not see the projects on the ground, the portal will showcase what were major achievements by the Jubilee government. The president launched the system in order to make sure that all the projects are in a central place and can be sorted from just a single click. The portal that was launched by the president and his deputy will make Kenyans move from project naivety to total inclusivity by the government. The National Government public information portal which can be accessed at www.delivery.go.ke. makes it easier for opponents to see what they did in the past four years. The portal will allow every Kenyan to access details of all investments made by the Jubilee Government over the last 4 years. The portal delivers information on Jubilee flagship programmes, Ministry milestones and the work the Government is doing in the 47 Counties. The government has been working hard to show what they have done in the country. The Jubilee administration is struggling to show off what they did in contrast with other past governments. The Jubilee government has been in the forefront in following the National vision 2030 blueprint.